I’ve been covering golf equipment for a long time. So long that the recent PGA Merchandise Show—the industry’s trade fair, showcasing everything from clubs and balls to cardigans, carts, and cigars—was my 34th. Consecutive. Which isn’t a record, but allows me a little perspective to muse on how things have changed. And change they have. Mostly for the good, although I do miss the days when a garage-tinkerer could afford to rent a little booth among the behemoths and try to get attention for his “game-changing” idea. Karsten Solheim turned a putter made in his garage into Ping; I don’t see that happening ever again. Which is too bad. On the bright side, market forces and technology ensure—as I’ve written a thousand times—that it is almost impossible to buy bad equipment these days. There may be only a dozen or so companies making clubs and balls, but they are doing it extremely well. And their products are constantly improving: Whether the leaps from one season to the next are truly quantum is up to you. Every golfer will arrange those four in his or her own order of importance, which is fine… with one caveat: The most important should be fit. You are a fool if you don’t make sure the specs—shaft flex, length, lie angle, weight, and so on—are right for you. Clubfitting for the consumer is one of the most significant equipment advances of our time. As to what should you be looking at, I wish I could say I personally hit every new product at the PGA Show. I haven’t. But there’s a lot of stuff I’m itching to try. Here’s my personal hit list with random notes, asides, tangents, and observations. Speaking of Karsten Solheim, he deserves a lot of credit for getting clubs where they are today. And Ping, the company he founded, remains at the forefront. 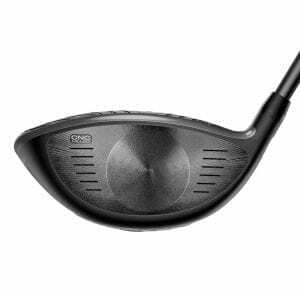 I’m a Ping fan and the new lineup looks great, starting with the G400 woods, especially the Max driver, the company’s most forgiving driver ever. As for Ping irons, the latest iteration, G700, is touted as its longest and highest flying due to a hollow-body design and thin face made of extra-strong maraging steel. I’ve hit that metal in other clubs and it does perform. 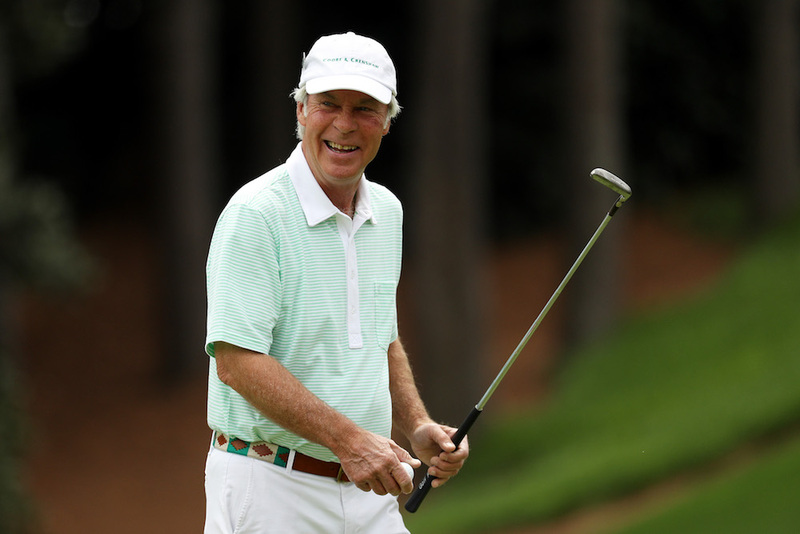 That Ping innovates in club design isn’t a shock. But many were surprised by the company’s larger—and taller—presence in the convention hall, where its new booth was bigger and higher than in recent memory. I may be reading too much into it, but I detect a little more swagger, perhaps the result of a new generation, Karsten’s grandchildren, taking over company reins. Should be fun to watch. Drivers are always the lead story at TaylorMade and Callaway, which are fighting it out for Tour dominance. TaylorMade has Tiger, Dustin Johnson, Rory McIlroy, Jon Rahm, etc., playing its clubs, now led by the M3 and M4 drivers. Both feature TwistFace technology, slightly turning part of the face open high in the toe and closed low in the heel to straighten shots hit in those areas. It’s an interesting concept, a new twist, if you will, on the bulge and roll that’s been a feature of clubfaces for decades. Also, M3 features movable weight, M4 maximum forgiveness, offering consumers a choice. At Callaway, the new Rogue driver enhances the company’s “Jailbreak” design—titanium bars behind the thinner face increase energy transferred to the ball—and gives it more forgiveness. Based on all the bags I saw it in, the Epic driver that debuted Jailbreak last year was a huge hit. 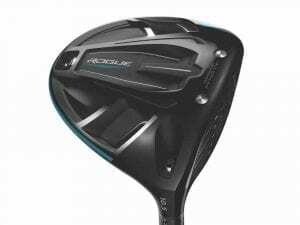 Often lost in the driver discussion is that both companies also make very good irons, a trend I assume continues with their M3, M4, and Rogue models. All boast lots of visible technology—ribs, bars, and angles—so, again, I go back to fit and feel (prices are almost identical). Two other drivers are worth considering, and not only for the price. Cobra’s F8 has a milled face of thin titanium—with a distinctive circular pattern in the center—to produce more speed and higher launch, for $399. Tour Edge’s Hot Launch HL3 driver has a forged titanium head and a variable-thickness face that does (and this is one club I did hit) launch it high and far, with a list price under $200. Check out Knuth Golf, whose High Heat woods are the real deal. I can’t wait to test the new 257+ driver and fairway woods, which take advantage of a recent change in equipment rules allowing the clubface to be “hotter” at the toe and heel than in the center. And since that’s where many of us make contact… Founder Dean Knuth used to work for the USGA on the handicap and slope system, and brings that devotion to science and precision to designing really good clubs. 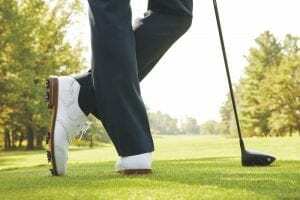 – I’m really hoping the re-revived Ben Hogan Company makes it. 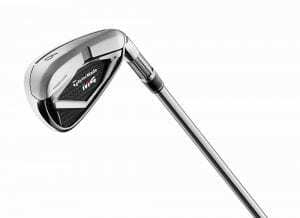 Its irons, hybrids, and wedges are as handsome as any I’ve seen and bring forgiveness technology to classic design. And they sell direct to the consumer over the internet. 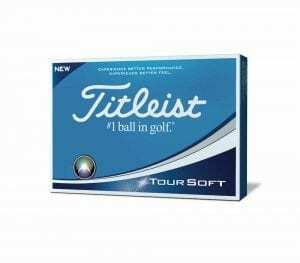 – Titleist and Callaway are battling over soft golf balls. Claims notwithstanding, I’m betting their new offerings—Titleist’s Tour Soft and Callaway’s Chrome Soft—are good. Really good. – I’m regularly surprised that distance-measuring technology keeps getting better. 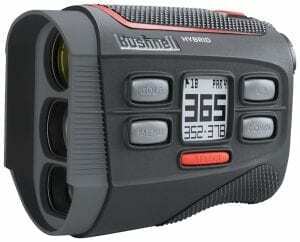 But it does, as proven by Bushnell’s new Hybrid rangefinder, which combines laser and GPS to provide both to-the-flag and front- and back-of-the-green yardages at the same time. Now that’s cool. – This is a little insider, but you should watch for new carts from Yamaha that have moved the video screen from above the driver’s head into the dashboard, just like in your car. The image is much brighter and easier to read. It’s about time (as is Yamaha figuring out how to make gas carts quieter). – With all this fawning over technology, I’ll end with a throwback. This summer, FootJoy introduces the FJ 1857 Collection of shoes, apparel, and gloves, all of which harken back to the golden days of golf elegance. Pieces exhibit hand-craftsmanship, expensive materials, and classic style (with prices to match). The collection—named because FootJoy traces its heritage back to the year 1857—will be available in an exclusive selection of pro shops. What do you think of the new equipment launched in early 2018? Tell us what you like (and don’t like) in the comments below!